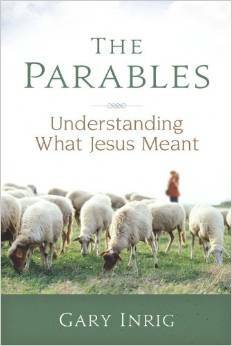 Why parables? No, not why did Jesus speak so often in parables, as my friend Joe will admit, “Everybody knows that,” but why my of-a-sudden interest in them, and further still, why drag you, the faithful reading few, through them with me? I promised you a moment of honesty; sheer even. I would hope I can produce more than a moment’s worth, but that will suffice for now I reckon. I have reached an impasse, a place where I no longer pretend that black and white are always constants in the faith of Christianity. This is not to say that there may be none such in the habitat of the transcendent, but in my world, where contradictions can be argued reasonably well by both sides, gray seems more often to take stage. Since more than three-quarters of Jesus’ recorded words are spoken in parable, and those reflecting often ‘life in the kingdom,’ I want to hear his truth from him personally, and hopefully with a little help from more adept students of the Word than myself. Enter… some mysterious stories; Enter… the parables. With little effort it is obvious to discern that these stories were misunderstood greatly by the audiences who first heard them. Except when he explained them, even his closest disciples couldn’t grasp their intent. Two thousand years of history has not given us the ability to lock down their meaning either, at least not if one entertains the thoughts of a wide host of interpreting authors throughout the same time-span. By means of a literal approach, spiritualizing, rhetoric, historic, and more, author after author submits meaning after meaning, so that I feel my head is swimming in a pool of mire. 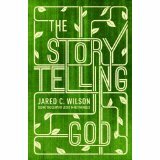 When asked why he spoke so often in parable, Jesus responded that it was to limit the kingdom truths to the kingdom kids, as in some sort of code-language to keep outsiders outside. I wonder, do these masterful tales do the same today? 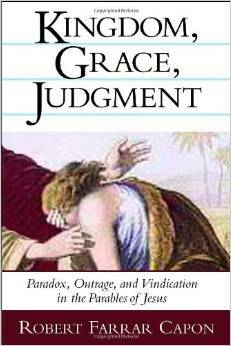 This entry was posted in Parables and tagged Christianity, faith, parable forms, parable types, parables, parables of Jesus. Bookmark the permalink. Love where your going with this. I love a good wander through the parables. LOL – I know what you mean – Jesus loves to help us in uncomfortable ways. I am troubled to realize that I too often want Scripture as an “insurance policy for my path”. Is this soul trouble part of the reason Jesus spoke stories? To mentor us in how to walk by faith not sight? To move forward without all of the answers but trusting Him to be The Answer? I am still agonizing. This reply is no answer, just a heart felt commiseration.